In our earlier blog post, titled “The changing dynamics of travel business emerging markets”, we talked about recent trends in the travel industry and why traditional travel agencies need to develop a strong online presence, while maintaining the personalized service they offer their customers offline. We would like to talk about some additional trends which have been observed in the online travel space which will strengthen our case. 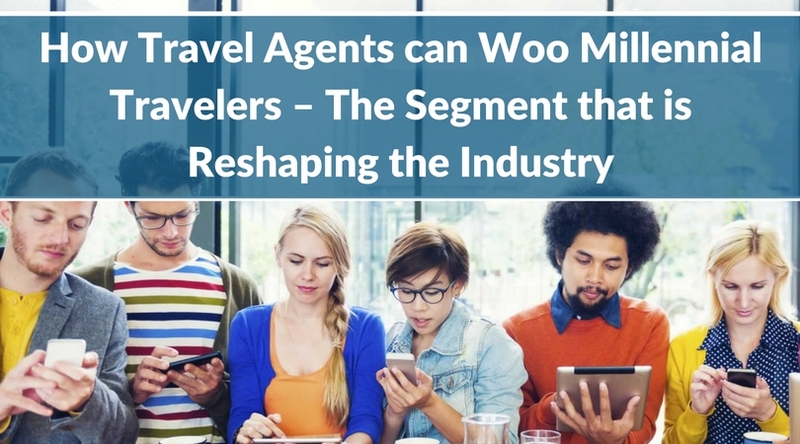 We talked about how large global like Expedia, or regional/country specific OTAs are gaining market share and eating into the profits of smaller, brick-and-mortar travel agencies. What most travel agencies don’t realize is that in addition to their online business model, these OTAs are also making inroads through retail offices across major towns, especially in emerging markets. Let’s take the example of MakeMyTrip, India’s leading OTA. The company has been growing at approximately 27% in the last three years. Having built a strong online brand, it is now setting up high street stores across India. It currently has dedicated retail and customer support offices in over 20 Indian cities, in addition to several franchise locations. Yatra, India’s second largest OTA is doing the same thing. By adding the offline dimension to their already strong online foothold, these OTAs are building greater trust among customers who may be otherwise reluctant to carry out transactions online, thus driving customers away from small travel agents in the process. If this trend continues, and it will, as these brands continue to invest heavily in marketing to attract more customers, brick-and-mortar agents are likely to lose a lot of business in the times to come. In addition, funded online portals especially in the package tours business are now offering offline customization services. Being well funded they can afford to mark down prices to gain market share. They too have plans of setting up offices or collaborating with small offline agents to offer personalized services and thus they too will enter into the space being occupied by offline travel agencies. Custom tours are the very essence of an offline agency’s business, and online companies’ foray into the same is going to hurt them. Now looking at the above, both large and small online travel companies are taking away the very reasons which made traditional travel agencies attractive (personalized service and payment flexibility) but at the same time offering an online experience with discounts. Therefore, if they have to survive this onslaught, offline travel agencies must realize the importance of being online and seriously start thinking about investing in an online system. There are a number of online travel agency software out there, but how many of them adequately address the needs of offline travel agents? Our next blog post will attempt to guide travel agents and answer a very important question – What should a Travel Agent look for in an online system?